Taught by my grandma Hazel, I learned to knit as a kid. We started with dishcloths and from there I’ve knitted everything from sweaters and shawls to toys and socks. 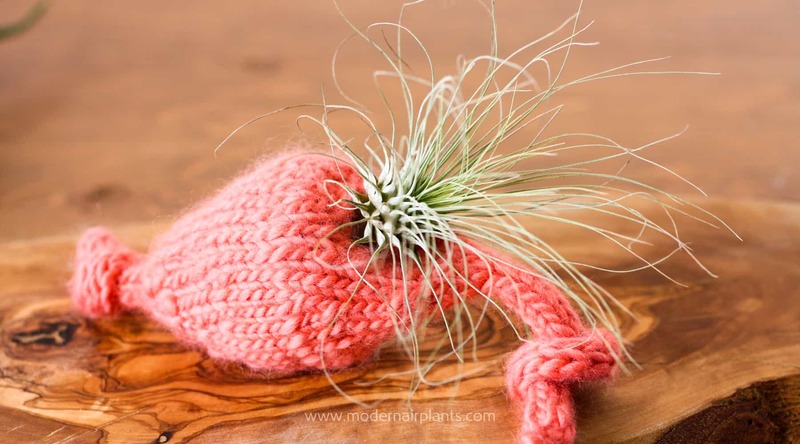 So, knitting air plants displays was a natural extension of my knitting habit (they can’t protest). 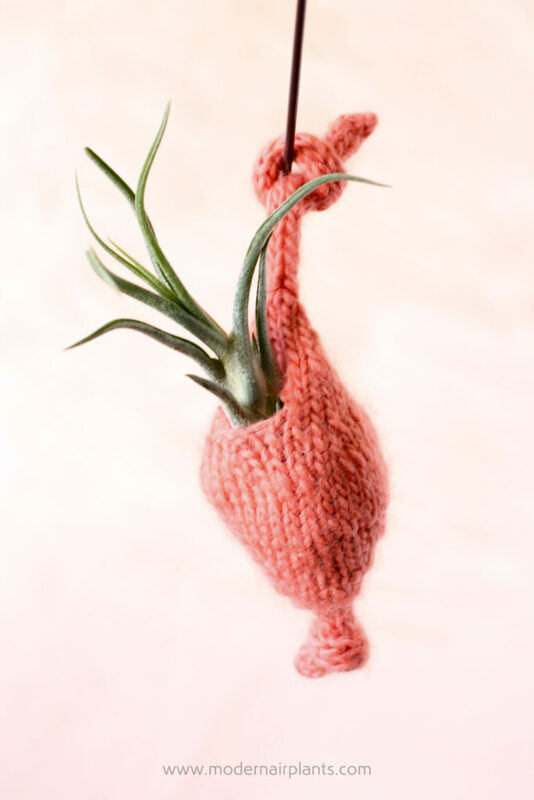 Truth be told, I delayed posting about my knitting air plant displays because I know that not only are they a teensy bit cheesy, but also because I know that not everyone knits. I decided to go ahead and post my knits in celebration of that fact that we’re all creators. 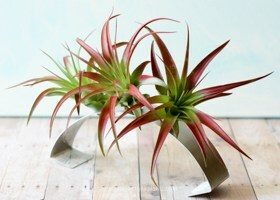 Your air plant display may be something you make, collect or something unique to where you live. 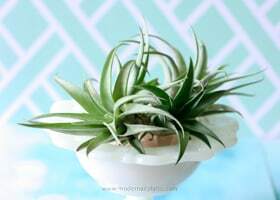 While browsing my knitted air plant displays, think about what you could create for your air plants that is special to you. And, if you do knit, that’s great too! I’ve included a link to download the patterns. I grabbed some yarn from my stash and whipped up an i-cord, about 20 inches long. To display the air plants I tied the cord around the center of the air plant. This little cord is perfect for hanging a mobile-type display. 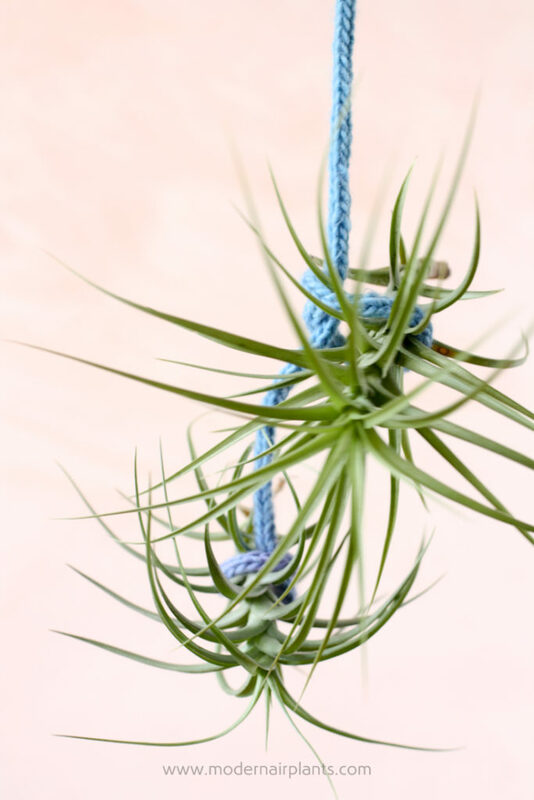 Tillandsia aeranthos hang by a knitted i-cord, so named by the infamous teacher and knitter, Elizabeth Zimmerman. She claimed the i-cord was so easy any idiot could do it. Green abdita and red abdita are suspended by an i-cord. 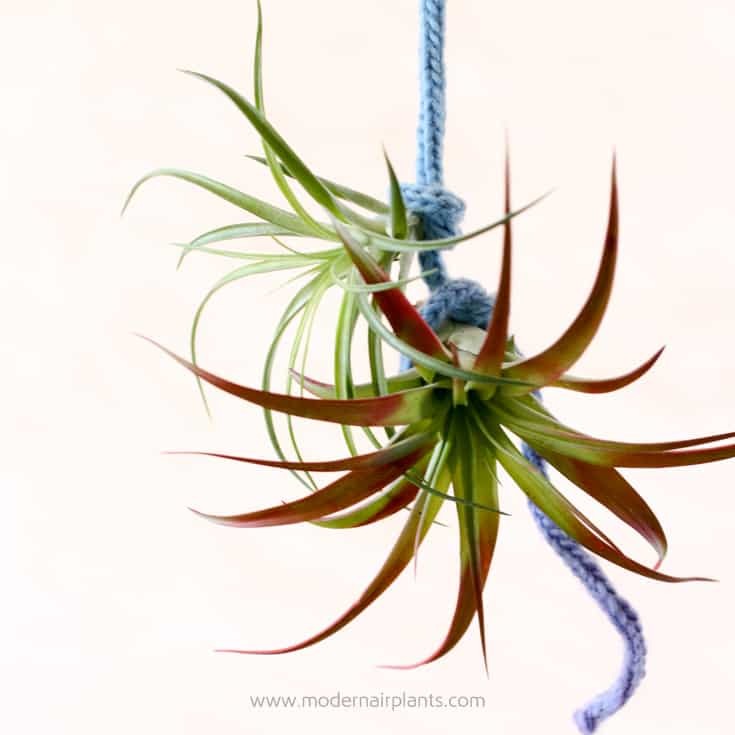 For this project, I imagined an air plant peeking out of a little seed pod, dangling in the air. 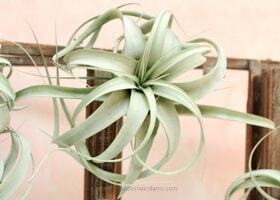 Tillandsia Caput-Medusae appears to play peek-a-boo. 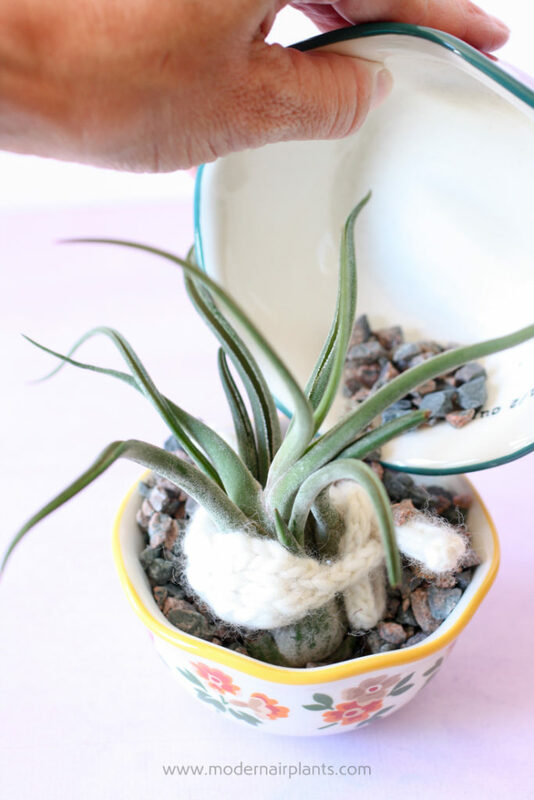 Knitting a scarf for your plants is admittedly a little bizarre, but that’s just what I did. Call me crazy. 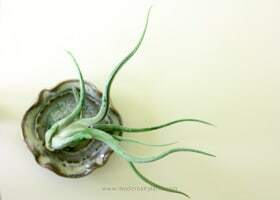 After wrapping the caput-medusae in a cozy scarf, I set the plant in a ceramic bowl and poured crushed granite around the plant for stability. Whether or not you knit, I hope that this post inspired you to take stalk of your talents and create your own display. I am a huge believer in the power of making and creating over buying and consuming. There is power in creating! When I was a teenager one of my leaders at church printed up a quote by Goethe on yellow parchment paper and passed it out to all the youth in my group. It stirred something within me and I hung the quote on my bedroom wall and never forgot it. Whatever you do, or dream you can do, begin it. Boldness, has genius, magic and power in it. P.S. 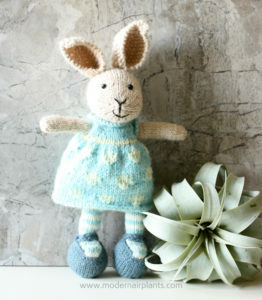 I love Julie William’s Little Cotton Rabbit patterns! The little bunny looks especially adorable partnered with a mini xerorgraphica. I knit not the best but I enjoy it. Love your Seed Pod. That will be the first thing I try wish me luck. Though I am not a knitter, I love the inspiring writing about the joy found in creating! I think will create something today and nurture that part of my soul! That’s exactly what I was after when I wrote this post! Go nurture your soul by creating something today! This is FANTASTIC! I never would have thought to do this, thanks for sharing! And this is the perfect weather for busting out my yarn stash and trying something out! 🙂 Thanks for the patterns! Any yarn in particular you would suggest? I totally agree. 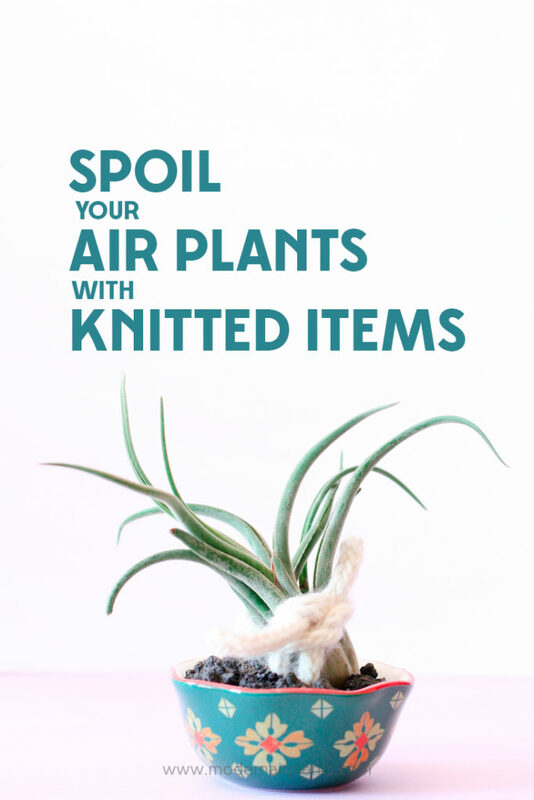 With fall in the air and winter just around the corner, now is the perfect time to knit for our air plants! I really like knitting with wool. As far as the weight, I think that’s just a personal preference. If you want a quick knit, use bulky, if you have some sock yarn in your stash that you love, use that. In these photos, I used worsted and bulky yarn. I think something felted would be fun too.